Nature's insulation. Wool keeps baby warm and cosy in cold weather. In warm weather, wool absorbs moisture, which is then released into the air ensuring baby stays drier and comfortable at all times. 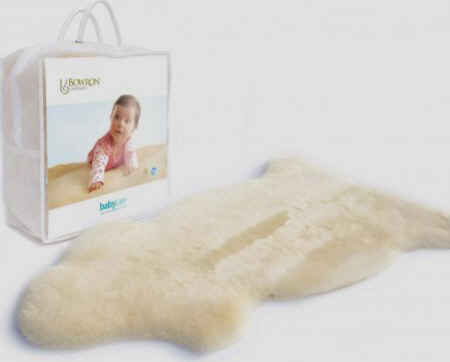 Short wool natural shaped Babycare rug. Minimum length 80-100cm, minimum width 48cm, pile height 35mm, colour Oaten. Machine wash.